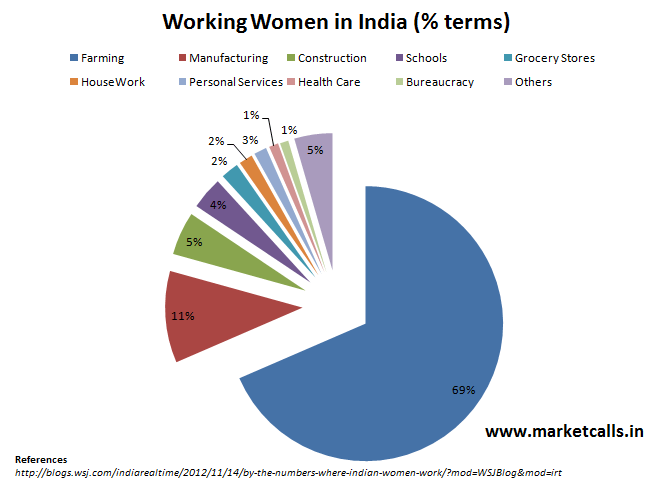 Where does the Indian Women Work? You are here: Home / Statistics / Where does the Indian Women Work? In the last 6 years there is nearly a 50% jump in the number of working women in india. Do you know where does the India women work. Here is a quick view. Indian rupee is the most undervalued currency as per Big Mac Index The Big Mac Index is published by the Economist to compare the currencies of different countries and to evaluate whether a particular currency is overvaluated or undervaluated. Hi Rajendran Sir, I think this survey has left out women working in IT/ITES industry where in women workforce in a company is more than 60-70% in cities like Bangalore, Hyderabad, Chennai, Pune etc. Ravi -- I guess it could be negligible when compared to the entire working woman population which covers in the Others.